It might not always be the best thing, but give the masses what they desire. Or they will revolt. Leaders throughout history have acknowledged the need for pleasing the masses under their control. When the masses reach a critical mass of anger, events like the French Revolution take place. Religion is another way to control the masses by promising a happy afterlife if you follow religious doctrines. The ancient Romans understood how important it was to cater to the masses taste in entertainment. That's why they slaughtered people in the collisium. Gladiators were the sports figures of the time. 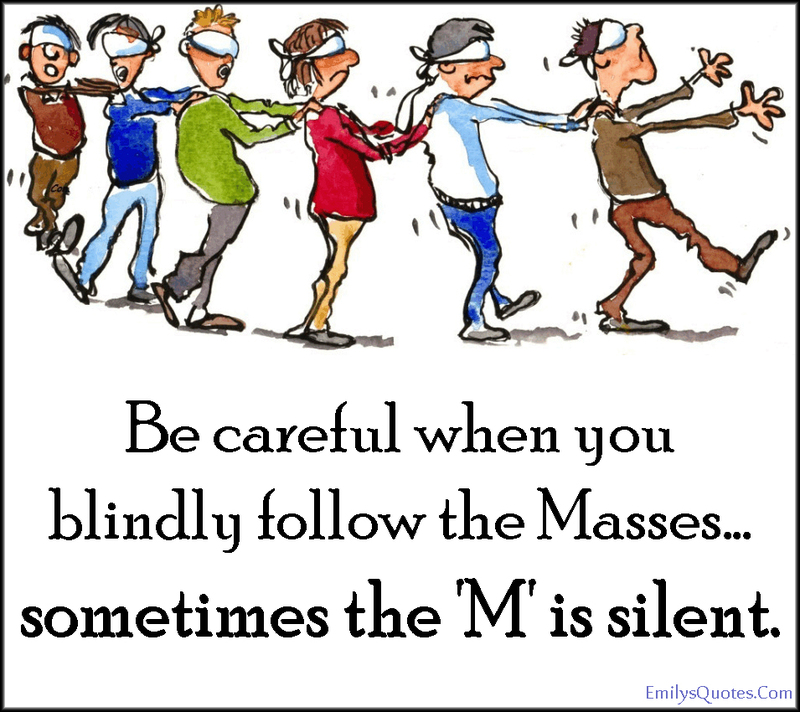 The masses often make mindless choices in the heat of change that later comes back to devil them. It's what happened this year when Donald Trump was elected president. A majority of under-educated whites jumped onto the Trump Train despite the inevitable wreck looming ahead. Trump knew how to appeal to them through fear and anger. He gave 'em what they wanted. One of the biggest, most documented liars of all time, knew how to incite the masses. Advertisers are always following trends to give the masses what they want. People can learn how to give and receive multiple orgasms by just reading certain manuels. People can also get costly cosmetics, or miracle cures, from advertisers who've been studying human nature for years. 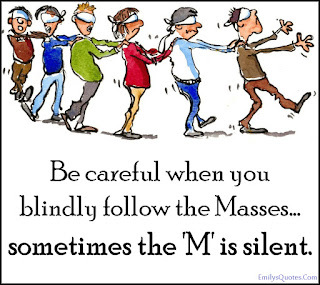 Nothing is out of bounds if the masses ask. "History would indicate that the majority of people have always been sheep."